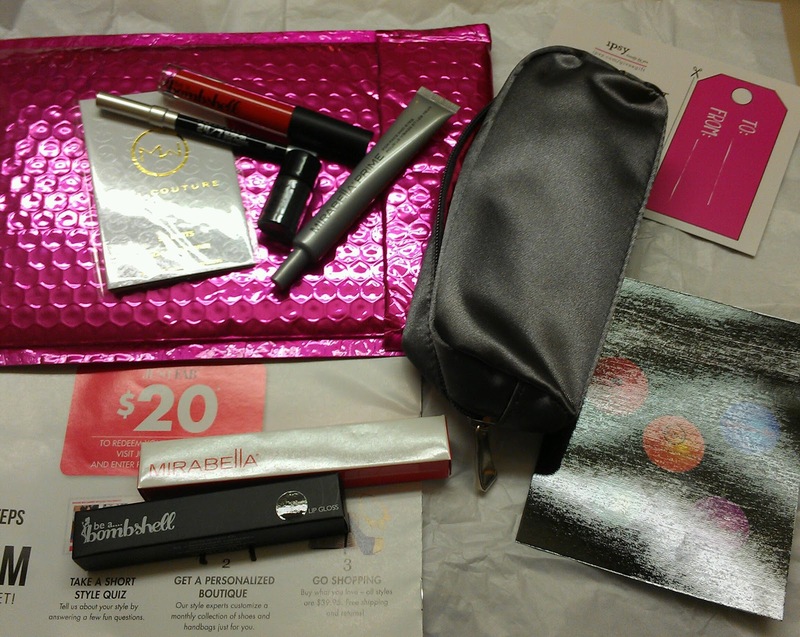 Fiorella's Closet: ipsy December 2012 Review! Loooove!!!!! ipsy December 2012 Review! Loooove!!!!! 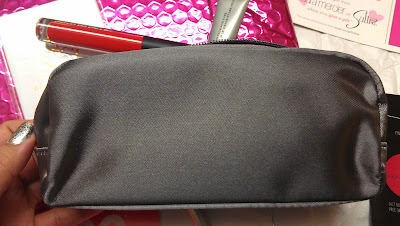 ipsyyyyyyyyyyyyyy tiiiiiiiiiiiiiiimeeeeee!!!!!!!! Hi! I actually got this bag a couple of weeks ago but was soooo busy I couldn't post until now! 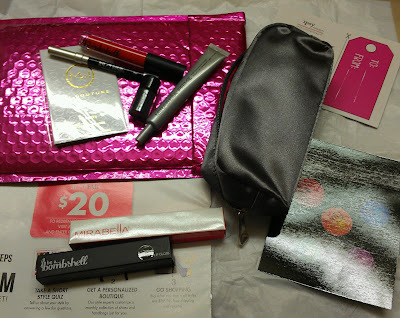 December was another great month for ipsy :) still the best $10 spent every month! 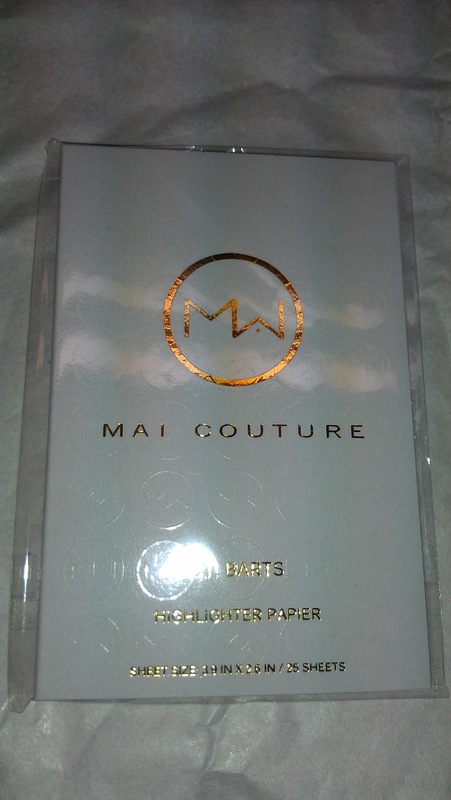 This is Mai Couture Highlighter Papier, no real clue as to how to use it, and haven't taken the time to explore it, but it looks interesting enough! 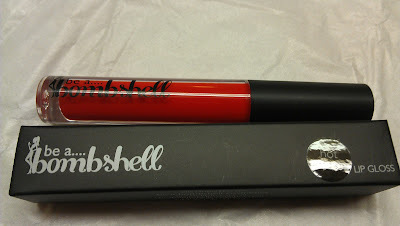 be a bombshell "hot mess" lip gloss! RED! woah! I have a fair amount of lip glosses but this is my first red one :) excited to see if I can pull this off! 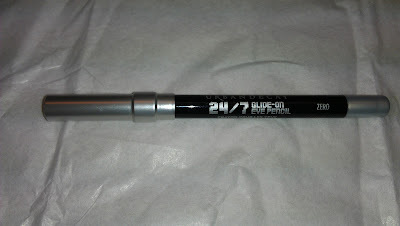 Urban Decay 24/7 Glide-On pencil in Zero (black) looooove!!!! I probably have 254521215787 black eyeliner pencils but I did not have any UD pencils or any UD products up until just a few days ago, so I was glad to get a brand like this one in my bag this month. I tested the pencil on my hand and it sure glides on!!! Last but not least, Mirabella Prime (for face and eyes). 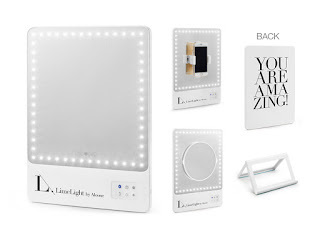 I got a single eyeshadow from this brand a few months ago and it was nice, they sell the entire line at a beauty supply place I go to but it is quite pricey so I have never bought any there. 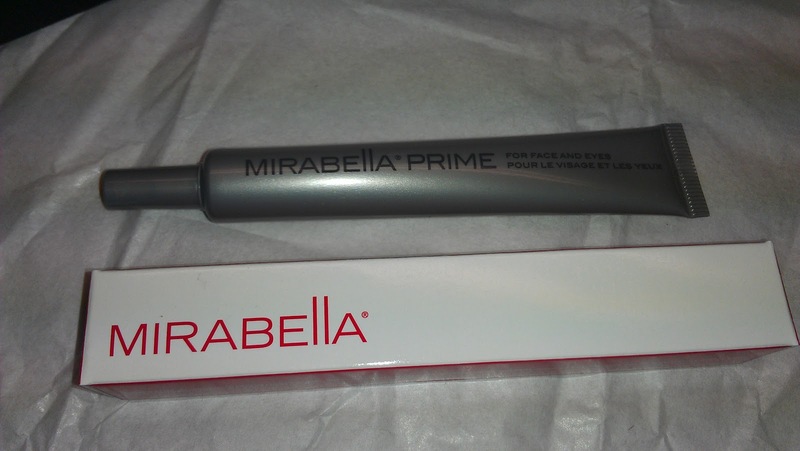 The size of this sample is pretty generous for a primer and the fact that it is meant to be used for face and eyes, makes it very interesting! 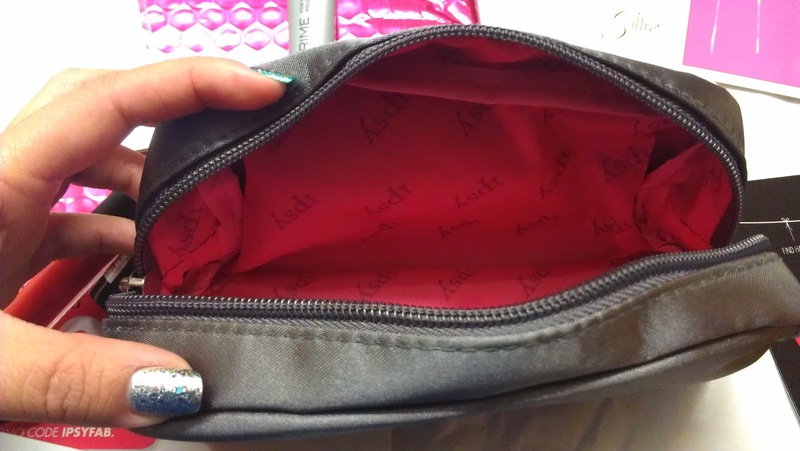 One less thing to pack if you are traveling!!! Woo hoo!!! Wow, that's a killer deal for 10$. 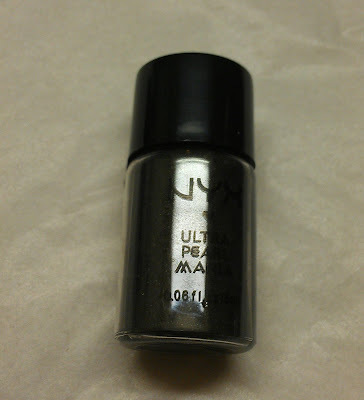 How I use the NYX loose powders as eyeliners is to get that nice angled brush from the above post wet, towel it off just a tiny bit so it isn't dripping, dip in the powder, wipe off on either side of the container and go for it. I love the nyx loose shadows, especially in gold and copper colors. 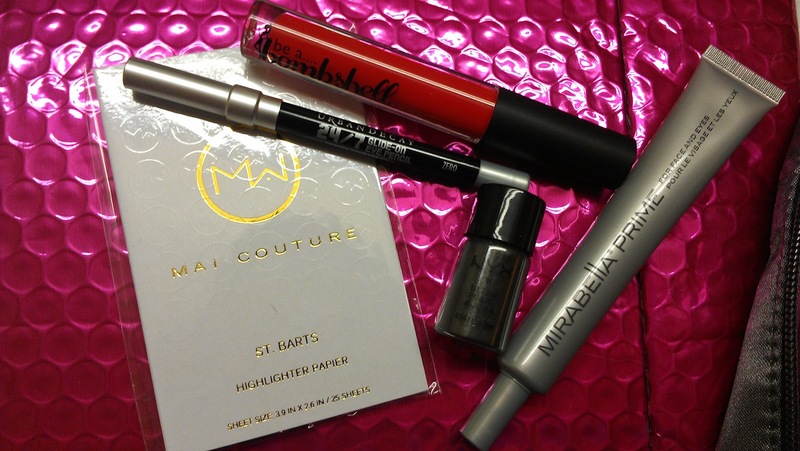 I have been using tons of random make-up lately.